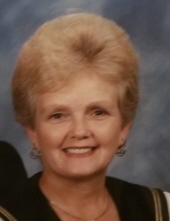 Shirley Ann Lyon Land passed away January 28, 2019 at the age of 70. She is survived by her loving husband, Tommy Land; her children,Shirley Jean Hall, Terry Du’Wayne Hudson; her grandchildren, Torrey Deon Hudson, Keelie Christina Brook; her great-grandchildren, Brice Appling, Kyle Appling, Ambrielle Hudson, Alana Hudson, Garrett Hudson. She is preceded in death by her parents, William and Evie Lyon. Visitation will be held at Forest Lawn Funeral Home 9700 Celeste Rd. Saraland, AL 36571 Thursday January 31, 2019 at 5pm. The funeral service will be held Friday, February 1, 2019 at 1pm . Interment will be immediately to follow at Forest Lawn Memorial Gardens. To plant a tree in memory of Shirley Ann Lyon Land, please visit our Tribute Store. "Email Address" would like to share the life celebration of Shirley Ann Lyon Land. Click on the "link" to go to share a favorite memory or leave a condolence message for the family.